Joseph Beverly is a clarinetist and saxophonist based out of the Tampa Bay area. He currently holds the 3rd/Bass Clarinet position in The Florida Orchestra. 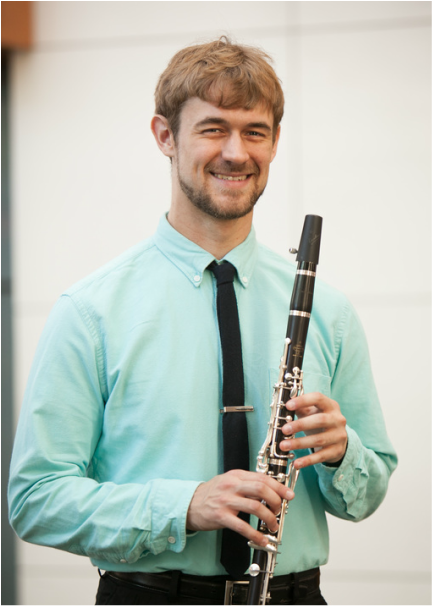 Joseph recently received his Masters of Music in clarinet Performance from the University of Maryland and received his BM in Clarinet Performance from the University of Georgia. He is a founding member of the Potomac Winds and is an active chamber and orchestral musician. Also an active teacher, Joseph currently maintains his own private studio and formerly taught clarinet at Southern Wesleyan University. He has performed with the Savannah Philharmonic, Annapolis Symphony, "Chief's Own" Air Force Band, HUB Opera Company, St. Petersburg Opera, Macon Symphony, Georgia Symphony, Symphony Orchestra Augusta, Charleston Symphony, and the Florida Orchestra. Joseph performed Warren Barker's Concertino in the United States, Switzerland, Germany, England, and Austria with the Georgia Ambassadors of Music in 2010 and Aaron Copland’s Clarinet Concerto with the University of Georgia Symphony Orchestra in February 2014. He was a finalist in the Army Band National Collegiate Solo Competition for 2016 and was awarded First Prize in the 23-25 age division of the International Great Composers Competition for the 17th and 18th century categories. He attended the Clarinet Academy of America in 2011-2015 and also attended the Eastern Music Festival in the summers of 2013 and 2014, studying with Dr. Shannon Scott and Dr. Anthony Taylor. He also attended the Madeline Island Chamber Music Festival in 2015. Joseph has performed in masterclasses with Jon Manasse, Walter Seyfarth, Daniel Gilbert, Susan Warner, Jonathan Holden and Mark Nuccio. Joseph's primary teachers were D. Ray McClellan and Robert DiLutis.